I met John Alaban recently at the Roxas City Museum and was impressed by the Butterfly series of paintings he's currently working on. He's planning on portraying 50 different species of butterflies found in Capiz, which by the way, he is breeding. The painting above is the third of the series and more are on the way. 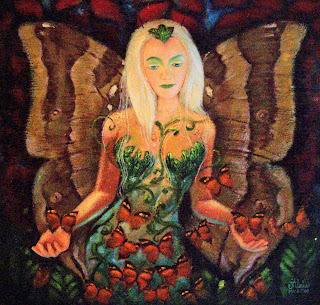 What caught my eye about this painting is the three dimensional head of the "diwata" or goddess. Her hair looks like rice noodles but John explained that the hair and head are made from dental materials and will stand the rigors of exposure to heat and other detrimental elements. John is multi talented. 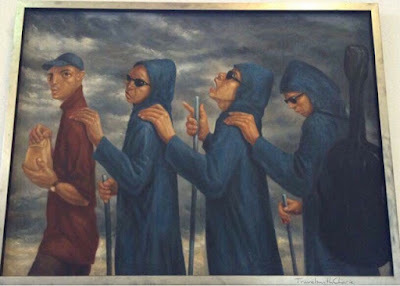 He's also a sculptor and muralist. 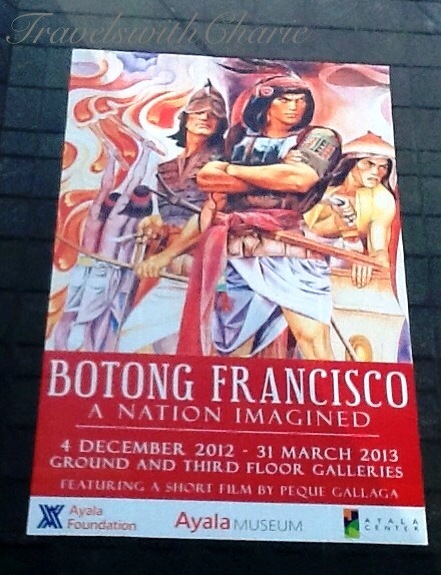 One of his murals can be viewed at Gaisano City Mall in Roxas City.